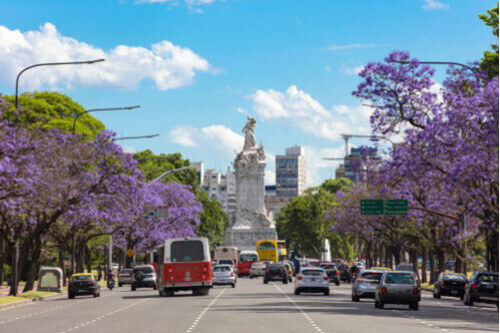 Across Latin America, Argentines have a reputation for being a little bit snobbish; however, spend a while in Buenos Aires and one can see where this aloof attitude comes from – it is a beautiful city that blends colonial old-world charm with new world dynamism, while exuding a beat-up cool. This faded grandeur may make its rather self-assured claim to be the ‘Paris of the South’ a bit of a stretch, but it gives Milan a run for its money. Spanish explorers first settled here in 1536, but were soon chased off by the local Charrua people. The Europeans came back, establishing a trading post in 1580 after sailing downriver from Asuncion, now the capital of Paraguay. It is its role as a port on the natural harbor of the Rio de la Plata which shaped the social fabric of Buenos Aires, as it welcomed settlers from every corner of Europe, but primarily Spain and Italy. Named ‘fair winds’ after what propelled the world to its docks, the city reflects this rich heritage in its eclectic mix of French and Italian architecture, much of which was built between 1880 and 1920. 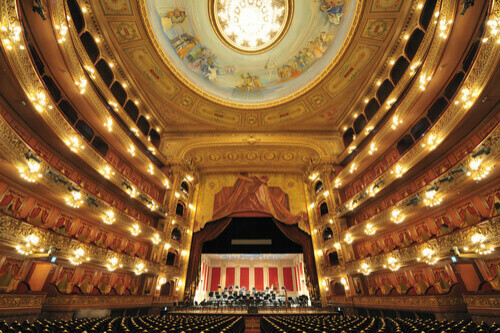 From the neoclassical Teatro Colón – which is said to have some of the best acoustics of any opera house in the world – to the Edificio Kavanagh, an art deco skyscraper that was once the tallest building in South America; not forgetting the grand turret and faux windmill sails of the Confiteria Del Molino and the baroque yet beautiful Palacio de Aguas Corrientes, which resembles an French royal palace and must have been the world’s most ornate water pumping station when it was built in the late 1800s. 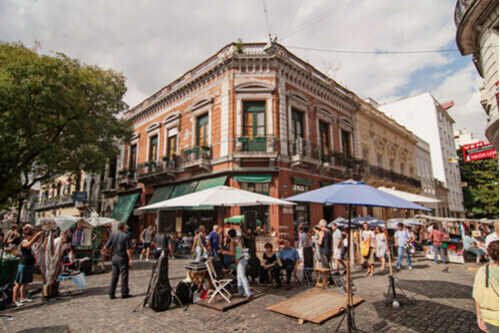 The real charm of this city lies in its barrios or neighbourhoods, and none is more charismatic than the cobblestoned streets of its oldest one, San Telmo. Once the home to dockers before a cholera epidemic cleared them out, it is now a bohemian art district and a tourist trap well worth getting ensnared in. Here you’ll find the Museum of Modern Art, hundreds of restaurants, cafes and shops, a great Sunday street market, and throngs of locals packing into the Plaza Dorrego to dance the tango – the sultry dance which spread from the city’s port-side brothels to Europe and beyond, swiftly becoming Argentina’s biggest ever cultural export. At the north end of town lies the city’s biggest barrio, Palermo, which is experiencing its first waves of post-hipster yuppification. Its fashionable enclaves of Palermo Soho and Palermo Hollywood are the places to come to eat and drink. 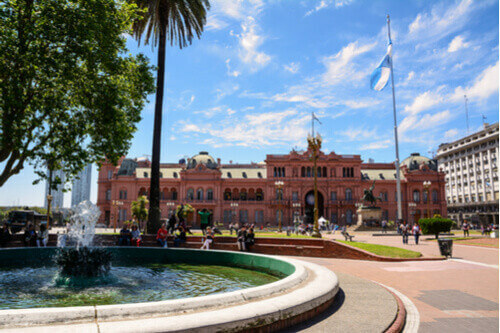 Grab a seat at a parrilla – a restaurant named after the typical asado meat grill – and order a steak, a glass of red and watch the world go by…and it is certainly worth doing a bit of people watching, as this city’s populace are a good-looking bunch. Be warned, all that Latin blood means that the nightlife starts late; restaurants typically get busy from nine onwards, while the bars don’t fill up until well after midnight. Soccer is another of this city’s obsessions and it has the highest concentration of professional clubs anywhere in the world – with 14 teams in the top tier and another seven in the second league – making it even more ball-crazy than London or Melbourne. Buenos Aires is blessed with many public spaces, the pick of which are the Parque Tres de Febrero – named after the date a local strongman politician was overthrown and built on his land – an ecological preserve, the Zoological Gardens, the Botanical Gardens and the Japanese Garden, the largest outside Japan. 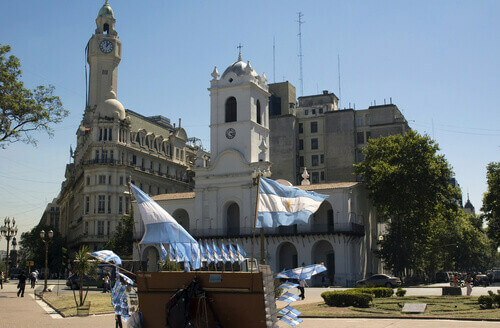 The Plaza de Mayo is a city square that has more than its fair share of history, it commemorates the country’s May 1810 revolution – it’s first step towards independence from Spain – was subsequently a venue for leaders such as Perón to address the masses, and since 1977 has been the place where mothers of those who disappeared during Argentina’s Dirty War have paraded with pictures of their lost loved ones.